G2926B has proven to be my most durable, crystal clear, non-crazing, easy-to-use general purpose cone 6 base glaze (from dozens I developed). However, some porcelains (e.g. Plainsman P300) need an even lower thermal expansion. G2926S adjusts "B" (by adding low-expansion MgO at the expense of high-expansion KNaO). Yet it has the same gloss. The insides of these P300 mugs use it (with 10% added Zircopax to make white). "S" is not an all-purpose recipe, it could shiver on high silica bodies, use it if G2926B fails an IWCT test for crazing. 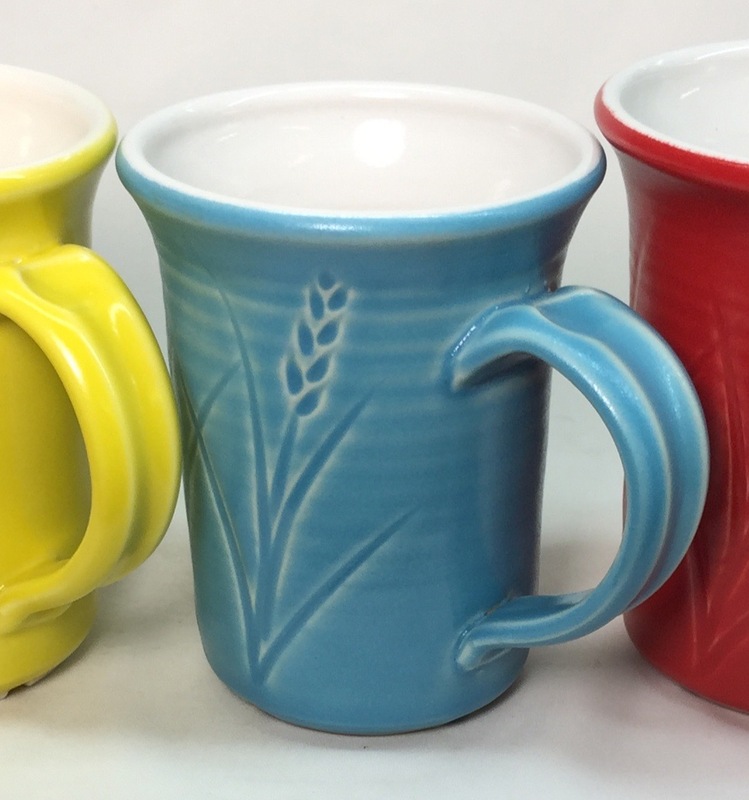 These mugs were fired using the PLC6DS firing schedule, the outside glazes are G2934Y silky matte with added stains.